Discover the architectural marvel that is the Panama Canal on a private guided tour. Visit an indigenous community, the Embera tribe. 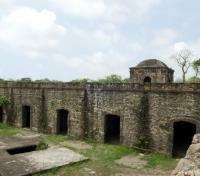 See the ruins of Fort San Lorenzo, a fortress sacked by privateer Henry Morgan. Explore bio-diverse Soberania National Park. Stay in a handpicked, boutique property in the heart of historic Panama City. 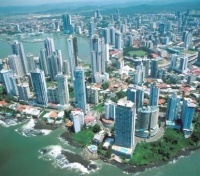 Panama City - the place where modern engineering and Spanish colonial history collide. The masterpiece known as the Panama Canal is one of mankind's most remarkable engineering feats, though it did not come without sacrifice. Take to the canal with a private guide and come to understand the great accomplishment, and great loss, that effectively bridged the gap between the Atlantic and Pacific Oceans. Also learn about the 1519 Spanish colonial settlement of Old Panama, the first ever by Europeans on the Pacific coast. Its ruins stand as a reminder today of the historic sacking of the city by privateer Henry Morgan. 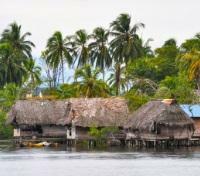 Venturing out from the city and through the jungle, you'll even have an opportunity to encounter an indigenous community, pushing away modernity to maintain its traditional roots. All this and more on a tailored adventure through one of Central America's most dynamic capitals. To ensure your comfort, an English-speaking guide will be waiting for you outside of Customs, holding a sign with your name on it. This representative will direct you to your awaiting vehicle and driver, and accompany you to your hotel to assist with check-in. Since 1874, Central Hotel Panama has hosted intrepid travelers including the French builders who designed the Panama Canal to U.S. President Theodore Roosevelt, among others. The oldest purpose-built hotel in the country, it features luxury amenities, and has been recognized by UNESCO for its impressive architecture. Overlooking the historic center of Panama City, the hotel blends colonial-era charm with modern comforts. With views of Plaza de la Independcia or the bustling streets of Casco Viejo, guests can expect an enjoyable stay at Central Hotel Panama. Designed by world-renowned architect Frank Gehry, the Biomuseo is his only work in Latin America. Created to tell the story of how the isthmus of Panama rose from the sea, uniting two continents and separating a vast ocean – in the process changing the planet’s biodiversity forever – the Biomuseo’s sprawling property contains eight permanent exhibition galleries crafted by Bruce Mau Design. In addition to the main spaces, the museum includes a public atrium, a space for temporary exhibitions, a shop, a cafe, and multiple outdoor exhibits throughout the botanical park. 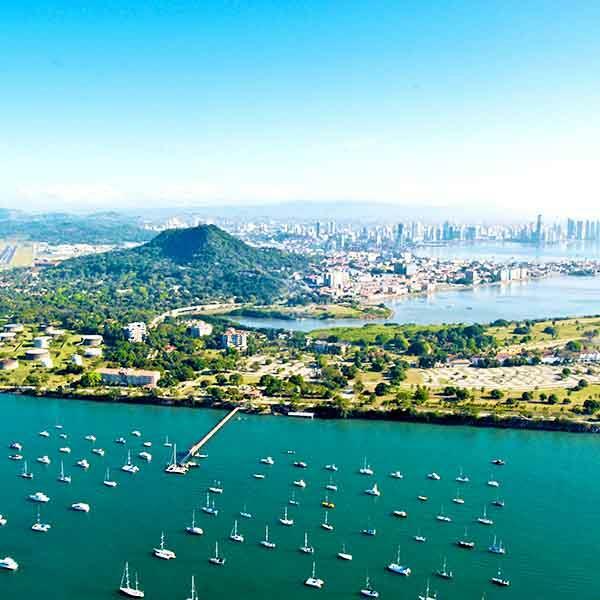 Located on the Amador Causeway, a prominent area at the entrance to the Panama Canal in the Pacific Ocean, the Biomuseo also affords excellent views of the city skyline, the historic district, Ancon Hill, and the Bridge of the Americas. After visiting the museum, continue with your guide to Casco Antiguo, Panama City’s most historic district. Here, you’ll step back in time to admire the lovely colonial houses, narrow roads and impressive churches in this vibrant quarter while learning of Panama’s early history, then join your awaiting driver who will return you to your hotel. After meeting your guide in the morning, set out to the impressive Agua Clara Visitor Center, found on the Atlantic side of the Panama Canal. Showcasing the Canal's legacy and grandeur, you'll take in an unparalleled view; a sweeping panorama featuring - to one side - Gatun Lake, where cargo ships or other vessels transit every day, and on the other, the expansion work projects. Walking through the center, be sure to visit the Projection Room to gain insights into the harrowing history of the thousands of men and women that worked on the Canal throughout the decades, then take a stroll down the ecological pathway. Lined with a variety of plants that makes the trail an adventure unto itself, see if you're able to identify the different species gathered in the indigenous of the area of the Canal watershed. Later in the day, join your guide and driver as you make your way to Fort San Lorenzo. Declared a UNESCO World Heritage Site in 1980, this remarkable sea-level fortification was built in the 16th century to protect the bustling port from pirate attacks but eventually would succumb to buccaneer Henry Morgan, then serving as his personal fortress. A fascinating site to explore, your guide will lead an in-depth survey of the battery before directing you to your awaiting vehicle which will return you to your hotel. In the morning your guide will pick you up at your hotel and take you north towards Lake Alajuela. There you will board small boats and sail the Rio Chagres, a fascinating and dense jungle. Upriver, disembark the dugout canoes and participate on a short hike – often times a bit muddy – to reach a beautiful waterfall found in the rainforest. Relax in your own tropical paradise removed from any civilization, take a swim in the refreshing pool just beneath the waterfall, then get set to visit the Embera village, home to one of seven indigenous tribes in Panama. The people of the Embera will welcome you at the pier and provide insights into what life is like in this remote part of the planet. The village chief will give you a brief explication on the history of the tribe, its traditions, cultures and beliefs before a traditional lunch of fish and plantains is prepared for your enjoyment. In the afternoon you will experience a traditional Embera dance and are also welcomed to shop for handicrafts. The sale of local products directly benefits the village and helps to pay the school fees for the children, though for something that requires no packing at all, a temporary Embera tattoo can be painted on your arm or leg. 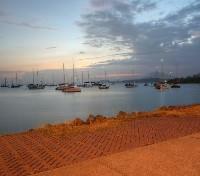 After and exciting day of adventure, you will be returned to your hotel in Panama City. 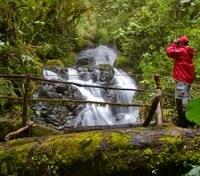 In the early morning, depart to Soberanía National Park with your private driver and English-speaking Guide. Upon arrival, begin a walk down part of the famous track “Camino de Cruces” that connects the Pacific to the Atlantic coast. This historic trail was once used by merchants, slaves, European explorers and gold seekers. In the morning you will enjoy a nice and fresh climate in the forest and have the opportunity to observe many different species of plants and animals. You will be privately transferred between your hotel and Tocumen International Airport by a professional driver and an English-speaking guide.